ASUS prepared a massive amount of Z390 motherboards for Intel's 9th Gen Core CPUs, it's too much to cover everything so I suggest you head over to the ASUS website if you want to learn all the details. 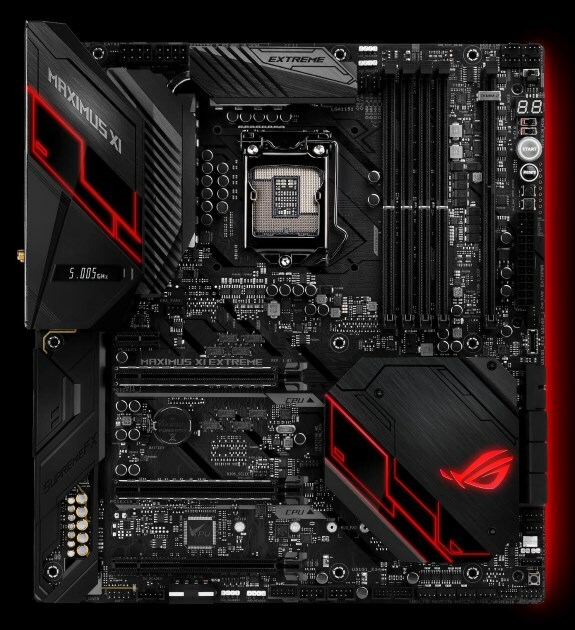 Below is the ASUS ROG Maximus XI Extreme, this flagship motherboard will retail for a whopping $499.99. The Maximus XI Extreme is indulgent without being frivolous. As the flagship, it walks the line between achieving peak performance and providing the extra features that make showcase builds stand out.